Nestled in the far corner of Peckham Levels, is its newest addition. Describing themselves as a ‘Californian Kitchen’, Zephyr boasts a really small and simple menu. Clearly they follow the mantra of sticking to the basics, and executing them with perfection. 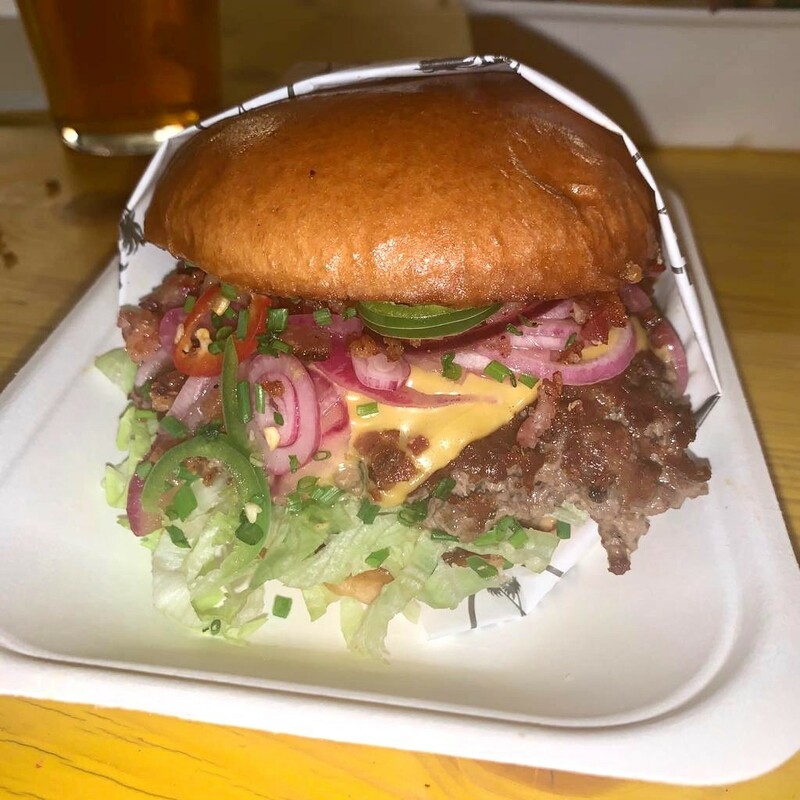 Having another new burger joint on my doorstep is an exciting proposition, and so I trundled down for a gander, with the intention of writing my first review of 2019. The Californian Kitchen description is pretty apt. This is the kind of burger that I can imagine eating on the beach in the States, for it had the feel of an upmarket fast food burger. The smashed patty was soft and juicy, but not bursting with flavour, and the bun was light and soft. Unfortunately the bacon wasn’t overly crispy, and aside from a slight saltiness, was fairly anonymous. Shame. The combination of the lettuce, onions and chillis, however, was lovely. Light, fresh and crunchy. This combination added an extra dimension to the burger, which was welcomed with open arms. At first glance, with all the different colours spilling out of the wrapper, this strikes you as the kind of burger that could be trying too hard. The kind of burger that throws everything in, to try and capture every flavour profile. The reality of the situation is quite contrary. This burger wins your heart with its light, simple flavours. At no point do the flavours blow you away, as such, but before you know it, that behemoth of a burger is reduced to just one more bite, leaving you a little unsure about where it disappeared. Is this the kind of burger to travel across the capital for? Probably not. Is it going to be the main attraction for visiting Peckham Levels? Well…there are a lot of great reasons to visit this place. It is, however, definitely a viable option for some tasty chow when you are at Peckham Levels, and holds its own amongst some other great eateries in there.